The Nuclear Regulatory Commission (NRC) on Friday, Aug. 24, announced that it would start conducting a special inspection at San Onofre Nuclear Generating Station (SONGS) after it was announced that a canister holding spent nuclear fuel could have been compromised. The inspection announcement comes after an incident that took place Aug. 3 involving improper loading of one of the canisters into a cavity enclosure container (CEC). It was first reported publicly by a contractor working with Holtec and Southern California Edison (SCE) who said that while the canister was being loaded, it hung on the edge of the CEC and the crane lost its tension to the canister, creating the risk of it dropping about 17 to 18 feet. 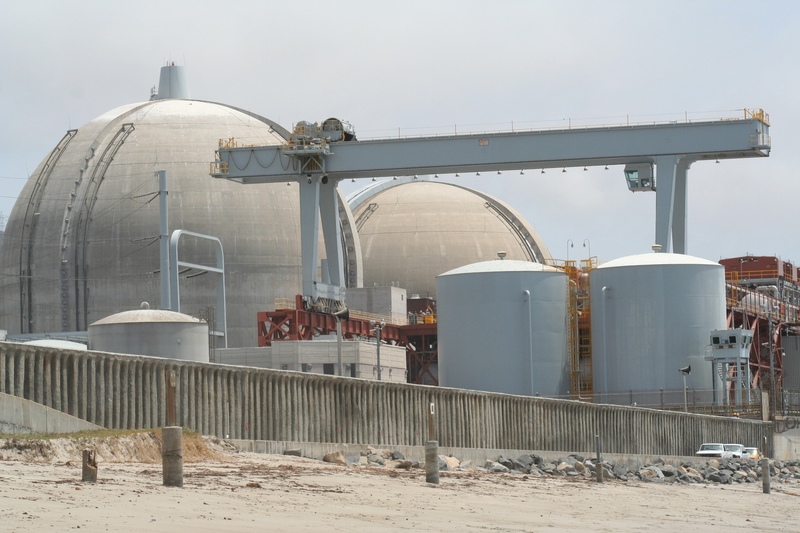 SCE is the majority owner of SONGS, which has been in the process of storing spent nuclear fuel on-site, about 100 feet from the ocean, since late 2017. The energy company had stated in press releases and at public meetings that Holtec’s HI-STORM UMAX canisters can withstand a 25-foot drop, but in its Friday announcement the NRC said that has not been evaluated in its safety practices. The canisters can weigh between 50 and 100 tons, according to documents from SCE and Holtec. The NRC’s statement continued to say a radiation protection technician “identified elevated radiation readings that were not consistent with a fully lowered canister,” and that was how the inspection began. The NRC’s charter for inspecting the incident will inspect records related to spent nuclear fuel procedures as well as qualifications of employees and training, evaluating the efficiency of the process, corrective actions and ability to adhere to the NRC’s standards, as well as other safety standards. Some of the nonprofit organizations that constantly monitor activities at SONGS said earlier this month that they would take action against SCE in order to stop the storage of spent nuclear fuel until a safety inspection of some kind was initiated by the NRC. 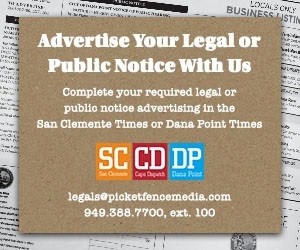 Another organization called for an injunction against SCE administered by the California Coastal Commission, the agency that permitted the storage of spent nuclear fuel. SCE stated in a press release on Aug. 24 that it would be supportive throughout the NRC commission’s inspection. Spent nuclear fuel offloading has been stopped until the investigation concludes. SCE still plans to have the remaining 44 canisters in dry storage by mid-2019. NRC officials said the inspection is expected to begin Sept. 10 with a report to be completed within 45 days after it has concluded gathering information and conducting interviews.